The Massage Therapy Center is owned and operated by Lauren Nelson, a Graduate of the Pa. School Of Muscle Therapy. This is an (American Massage Therapy Association) AMTA / COMTA (Commission on Massage Therapy Accreditation) accredited program. Lauren has found massage successful in helping her clients keep their stress and tension levels to a minimum. She has also been successful in helping reduce pain in clients with sports injuries, accidents, fibromyalgia, arthritis, Temporomandibular Joint Syndrome (TMJ), tendinitis, and Carpal Tunnel Syndrome. Massage has also shown to be helpful with relieving stress and anxiety, stimulating circulation and bringing oxygen rich blood to the tissues, stimulating the circulation of lymph, improves energy, makes a person more alert, increases range of motion (ROM). Massage has also proven to help support the immune system and increase immune function. Cancellation Policy - To cancel or change an appointment 24 hours notice is required. Failure to do so will result in a $25 fee. 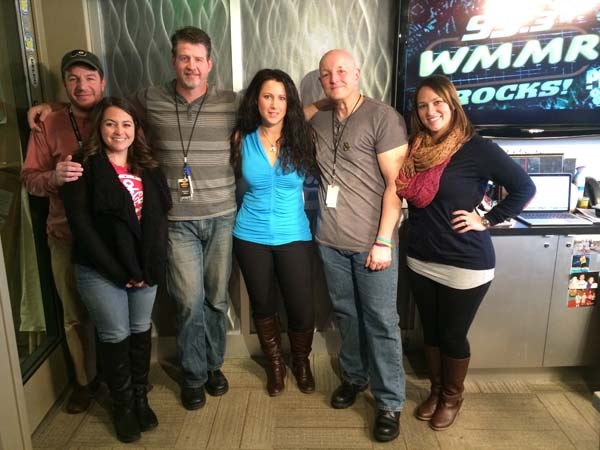 Thank you to Steve, Preston, Kathy, Nick, Casey, Marissa, and the rest of WMMR Morning Show crew.